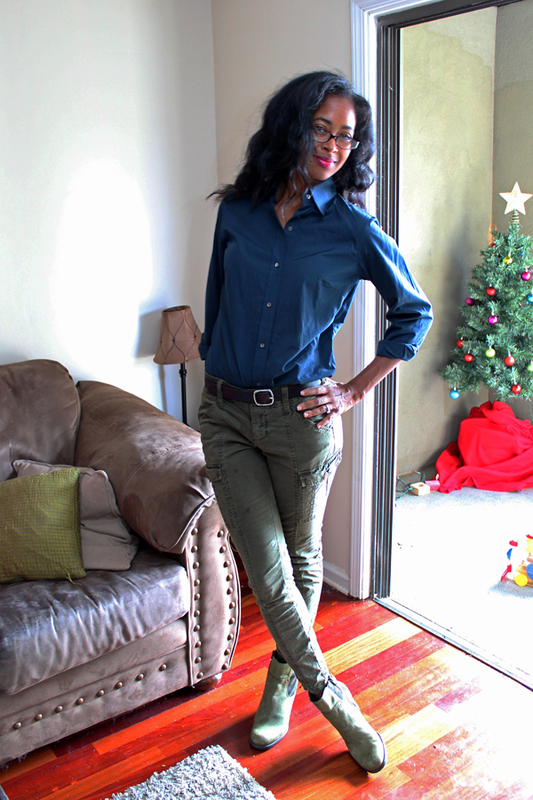 Yes, this is another outfit post that I'm wearing these Old Navy skinny cargos. I really wish I had gotten them in several colors. That's just how much I love the fit of these pants. 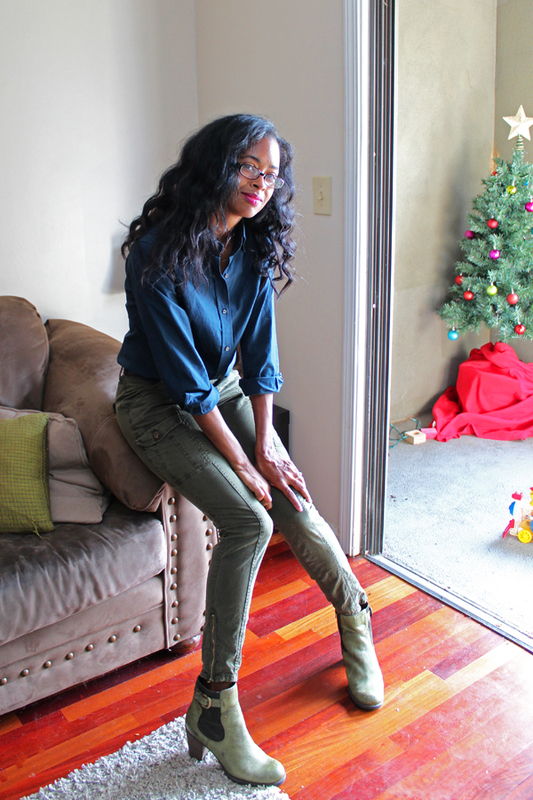 The true star of this outfit are these new leather olive green booties that I'd thrifted from a local consignment store. I plan to wear these a lot! I wore this to a birthday party the kids had been invited to. We had a great time actually. Any party that ends with the parents sipping wine while the kids run wild in the backyard, is my kind of kiddie party. I'm really getting more and more into thrifting and perusing consignment shops lately. I think I'm addicted to the hunt. It's really easy to go into any of the usual retailers and snap up something that catches your eye instantly, but it's extra rewarding to find that one thing that speaks to you at the thrift/consignment stores. Plus, you know that you won't see it on the masses. I'm oving the color combo! A must try! love this! the color combo is perfection! 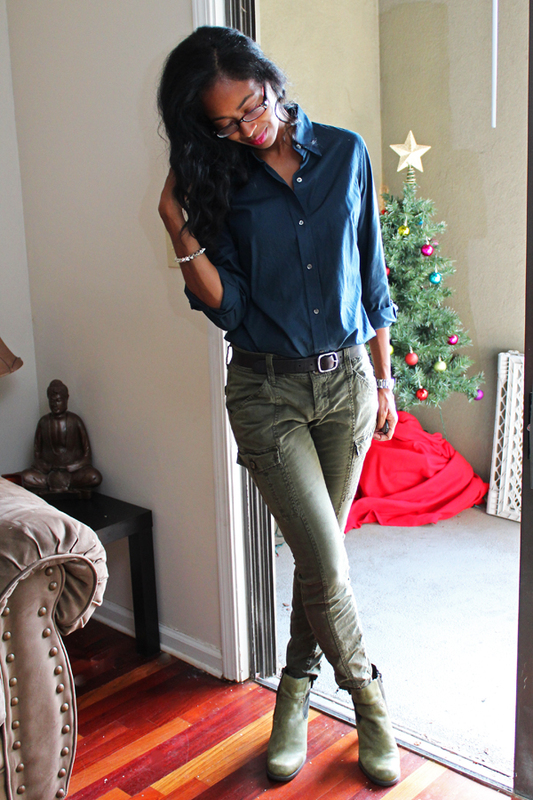 I love the way you styled your cargos. Nice look. Thanks for your lovely comment on my blog, Nik. Great mix of colors & I love the shoes! I will be sure to vote for your lucky looks! Thanks for voting for mine! I LOVE this outfit by the way! Cute booties! 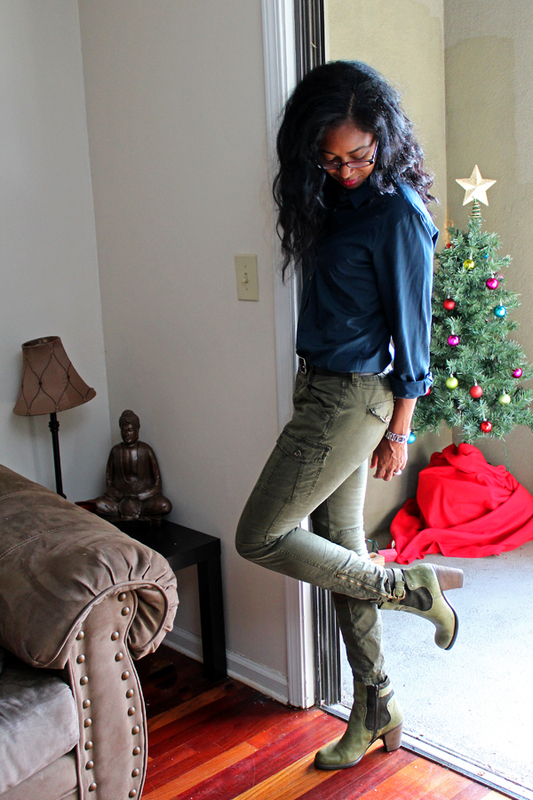 I am loving the boots! They look comfy and fashion forward. Great look. You can wear anything with the boots and pants. You look so chic! I love your boots!